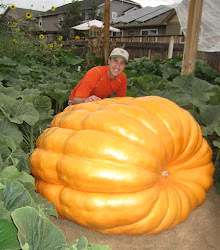 Each year we've had a pumpkin in the Arvada Festival of Scarecrows giant pumpkin weight. My son and daughter took first and second place honors in the children's category. I think this was the third year in a row that they pumpkins were bigger than everyone. Great job guys!